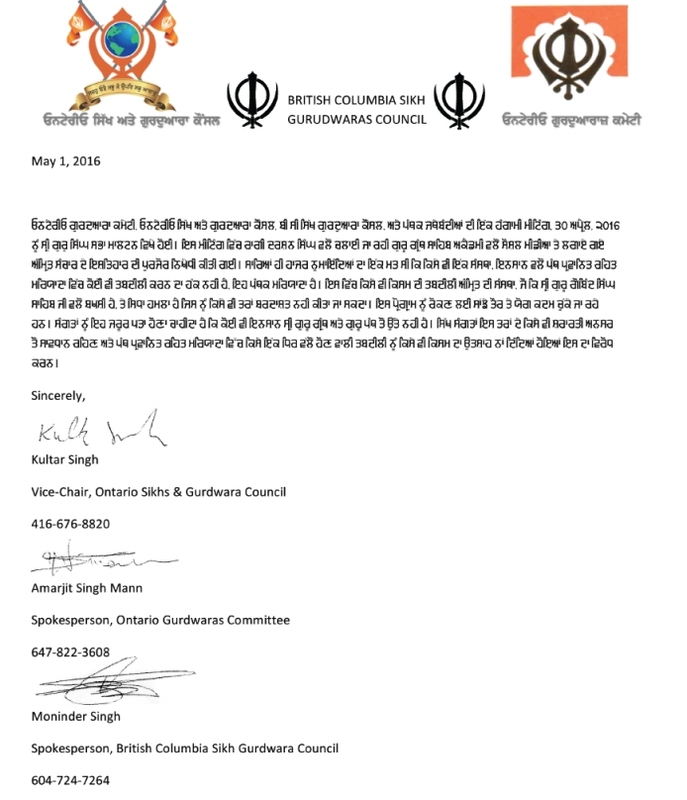 TORONTO, CANADA – Representatives of Sikh organizations across North America and Europe strongly condemned the blasphemous acts committed by the followers of excommunicated heretic Ragi Darshan Sinh at the Gurdwara Sikh Sangat of Virginia who altered the sacred ‘Khanday-ki-Pahul’ ceremony and Ardaas. The event organized on April 15th of 2016 by Gurdwara Granthi Kuldeep Singhs and progated by Ragi Darshan Sinh’s heretic lobby did not recite the sacred verses of Guru Gobind Singh Ji’s Bani in the ceremony as mandated by Panthic Maryada and the removal of the words ‘Pritham Bhagauti’ from the Sikh Ardas. Representatives of the Ontario Gurdwara Committee, Ontario Sikh and Gurdwara Council, BC (British Columbia) Gurdwara Council and main Panthic organizations from the Toronto jointly condemned any alteration of the Khanday-Ki-Pahul / Amrit Sanchar ceremony as outlined in the Sikh Rehat Maryada and warned unscrupulous elements to cease and desist from taking such steps in the future and stated that they would not allow such acts to be committed at any of their gurdwara sahibs. In a joint press release, issued from Gurdwara Sahib Malton, Mississauga, Canada, the Sikh organizations took serious notice of the objectionable propaganda being posted on social media by the so-called ?Guru Granth Sahib Academy? of Ragi Darshan Sinh in support of blasphemy and warned no organization or individual has the right to alter the Sikh Rehat Maryda and Panthic traditions. During the annual Nagar Kirtan procession in Malton, the resolution condemning the acts of heretic Ragi Darshan Sinh and his followers were read by a spokesperson for Ontario Gurdwara Committee, in the presence of tens of thousands of sangat members who endorsed the resolution in masse. 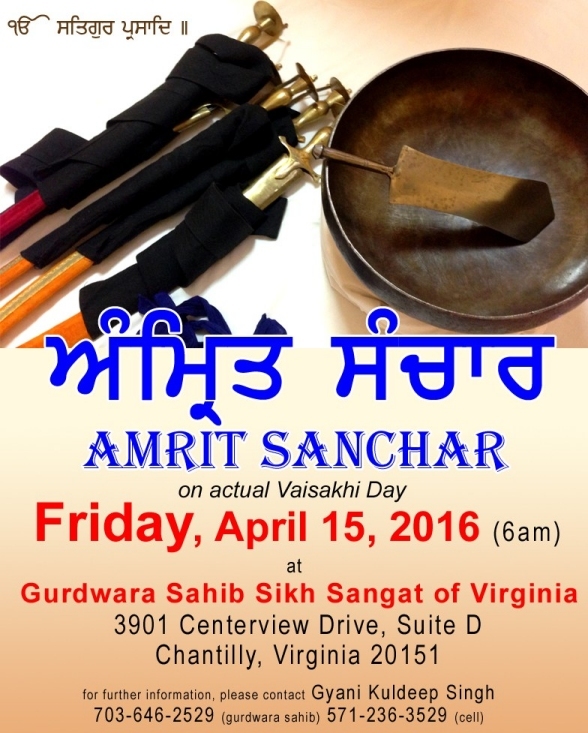 According media reports and postings, on April 15th Kuldeep Singh, the granthi of Gurdwara Sikh Sangat of Virginia, also known as Sikh Mission of America (SMA), in Chantilly, Virginia, organized a mock Khand-Ki-Phul / Amrit Sanchar ceremony as verses from the first 13 Angs from Sri Granth Sahib Ji were read instead of the mandated recitation Sri Jap Ji Sahib, Jaap Sahib, Twa-Parsad Swaiyay, Chaupai Sahib, and Anand Sahib as instructed in the Sikh Rehat Maryada. Purposely the sacred Banis of Guru Gobind Singh Ji, Jaap Sahib, Twa-Parsad Swaiyay, Chaupai Sahib were excluded, directly challenging the 317 year-old Sikh Maryada established by Guru Gobind Singh Sahib Ji on the historical Vaisakhi of 1699. Leading organizations in England under the banner of Federation of Sikh Organizations (UK) also denounced the blasphemous act committed by Ragi Darshan Sinh?s followers in Chantilly, Virginia, and declared that heretics such as Ragi Darshan Sinh, Gurbakhsh Sinh Kala-Afghana, Inder Sinh Ghagga, Harjinder Sinh Dilgeer will not be allowed to venture into Panthic events or institutions in the UK. The stance by the UK?s Federation of Sikh Organizations is in many ways unexpected since in the past some of their key members and organizers have had cozy relations with many of these very heretics, and on many occasions aligned themselves with those who openly question the validity of Sri Dasam Granth Sahib. Dr. Amarjit Singh of Khalistan Affairs Center, who in the past has purposely avoided entering such controversies, also vociferously condemned the April 15th event organized in Chantilly, Virginia. In his weekly television show on TV84, he criticized the granthi Kuldeep Sinh for undermining the Sikh Rehit Maryada and compared him with the likes of the anti-Sikh ?Meenays?, ?Dheermalias?, ?Ram Rais? of the past. Dr. Amarjit Singh stated that such modifications are not permissible or tolerable, and must be condemned in the strongest terms. 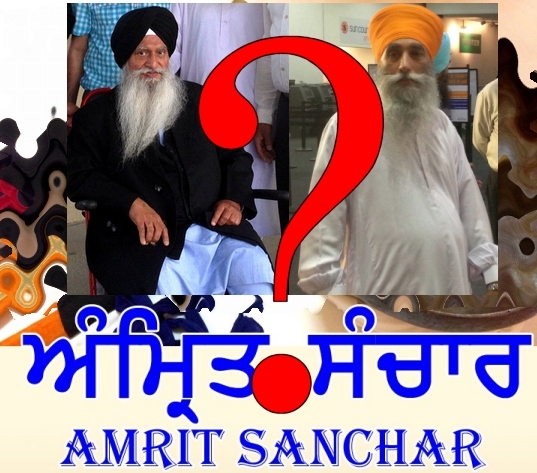 Various Sikh Parcharaks, including Bhai Sahib Pinderpal Singh, Bhai Amrik Singh and many others have also condemned the unilateral alteration of the Amrit-Sanchar Maryada by any individuals or organizations. On a side note, even the controversial missionary preacher Sarbjit S. Dhunda dissociated himself from the blasphemous actions but fell short of openly condemning or personally dissociating himself from the fringe elements responsible for the blasphemous acts. Overall there has been disbelief, astonishment, and strong opposition from the general Sikh community over the news of the transgression by the heretic lobby which may now face the wrath of the Sikh organizations and sangat at large.